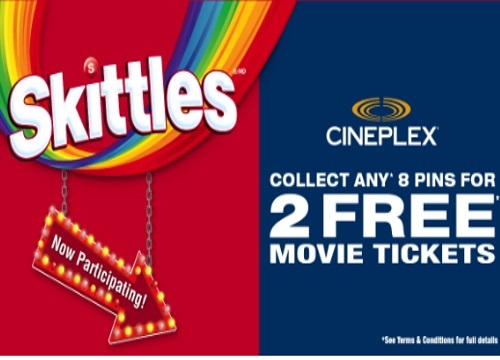 Cineplex has teamed up for another promo with M&Ms! Collect any 8 PINS from participating M&Ms products to get 2 Free Movie Tickets! PINS can be collected from participating specially marked M&Ms, Twix Bites, Snickers Bites, Skittles or Starburst products. You can also send in 2 Costco pouch tops to get 2 Free Movie Tickets as well. Click here for more details about this promo.